Part of a premium line of small batch cigars from master blender Enrique Sánchez, 1502 Black Gold, as the name implies features a very rich, dark brown, San Andrés Mexican wrapper with plenty of surface oil. To achieve its full-bodied flavor profile and sweet aroma, these top-notch cigars are finished with a core of perfectly aged Nicaraguan binder and long filler tobaccos. A heavenly treat for the seasoned Maduro aficionado, premium handmade 1502 Black Gold cigars are brimming with lush, heavy notes of cocoa, black licorice, earth, and hints of dark peppery spice on the finish. 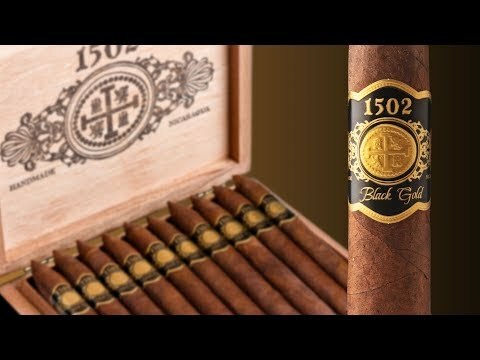 What do you think of 1502 Black Gold Toro?